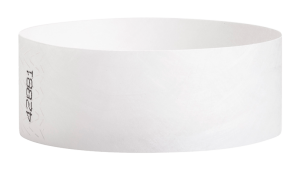 An extra large surface for maximum exposure - ship from our factory within 1 business day. 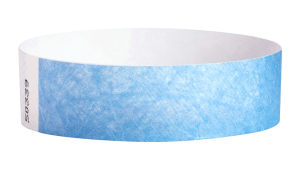 myZone Canada’s range of plain 1″ Tyvek wristbands are the perfect solution for when you bands at rapid speeds that also give you increased band visibility. Our plain 1-inch wristbands are perfect for when you want Tyvek wristbands with high visibility. 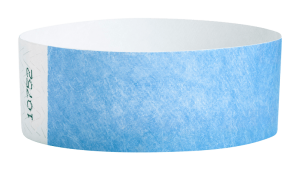 In-stock plain 1″ Tyvek wristbands can ship out the same day with service to anywhere in Canad. ? Preprinted serial numbers are included for easy tracking and admittance. 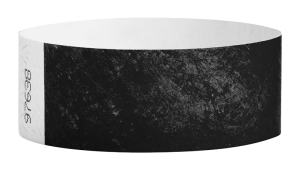 These bands include unique numbering, water-resistant ink, and security die cuts to prevent tampering and reuse. These bands are perfect for one day wear! Whether you’re hosting a kid’s party or an 18+ VIP party, 1 inch Tyvek wristbands are a high-quality solution for your next event. myZone’s range of custom 1″ Tyvek wristbands is perfect for when you want a bigger wristband and more space for customization. Our plain and full-color Tyvek wristbands bring increased wristband visibility at your event due to the larger size offered by the 1 inch wristband. What’s more, In-stock plain or patterned Tyvek wristbands can ship out the same day with service to anywhere in the United States & Canada ? 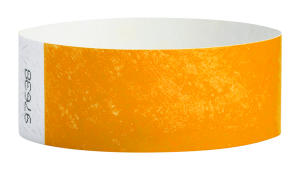 Our custom 1 inch Tyvek wristbands are perfect for creating memorable designs & artwork that will help you stand out from the crowd. 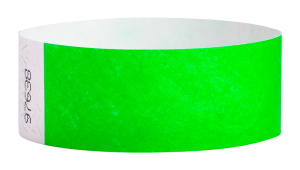 When you select Custom Tyvek wristbands, you can include a custom message, as well as photos or graphics. As an added bonus, each 1 ″ Tyvek Wristbands comes with a pre-printed serial number included, so you can always be in control of event tracking and admittance. Whether you’re hosting a kid’s party or an 18+ VIP party, 1 ″ Tyvek Wristbands are a high-quality solution for your next event.